What to do in Estonia in spring time? 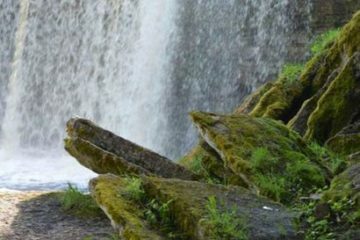 Visit one of the nature’s wonders of Estonia; enjoy Jägala waterfall and spring picnic. The lovely Jägala waterfall is only 30 minutes away from Tallinn. The beauty of the widest natural waterfall of Estonia is truly seen in the spring time. The high water created of melting winter snow and ice makes the waterfall wider than usually. Searching for fossils adds a touch to the whole experience. The picturesque location is perfect for enjoying the peaceful Estonian countryside with a picnic. Local schnapps with traditional Easter food introduces the Estonian culture and customs. Have a nice chat with your tour guide, enjoy the meal and Estonian spring. The tour takes no more than two to three hours, so you have plenty of time to catch an afternoon flight or to do some sightseeing in Tallinn for the rest of the day. PRICE INCLUDES: personal pick-up and return from your hotel, guide service, transport, picnic with home-made Easter food, local schnapps and hot tea. Jägala waterfall is the biggest natural waterfall in Estonia. It’s only 30 minute drive away from Tallinn city center. 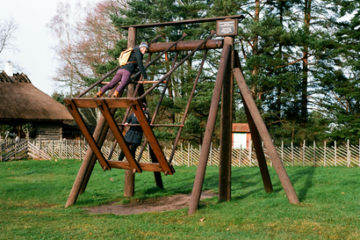 Therefore, it’s also one of the most popular attractions for the locals. The high water created of melting winter snow and ice makes the waterfall wider than usually. We will also see a mystical limestone cliff – the Baltic Klint – and search for millions of years old fossils. After taking tons of photos of the waterfall we will have a picnic with traditional Estonian Easter food. We’ll taste local Estonian schnapps and drink hot herbal tea. The tea herbs are handpicked from Estonian natural fields and forests during summertime. 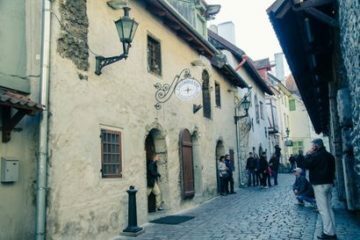 The whole tour takes no more than two to three hours, so you have plenty of time to do some sightseeing in Tallinn after the tour for the rest of the day. This was an excellent trip. Our guides Liina and Nele picked us up promptly from our hotel. They were professional and friendly. The waterfalls were stunning and we had as much time as our group of 9 wanted to take photos and wander around. At the end of March the waterfalls were not frozen but there was snow on the ground which made it a very magical experience. The picnic was typical Estonian food and very tasty. I would definitely recommend this trip and the company.